Welcome to the November issue. This month we have excellent articles including a management tip from Frank Christ on the “LAC War Room”, and a review of a speed reading software site by Susan Palau. Also this month, Jeanne Wiatr and Barbara Stout give us their fourth contribution to their Supplemental Instruction series with an article on Training SI leaders. Tutor-related topics. For example, training, evaluations, a recognition / reward program, communication system, etc. Students-related topics. For example, workshops, feedback, support, etc. Center-related topics. For example, promotion, funding, expansion, etc. Books, on-line resources, or conferences reviews. Share some of your knowledge, experience, and skills with your colleagues via the LCN. We are awaiting your articles. It doesn't take much time and it will make you famous (at least among our readers)! See below for submission guidelines, and email me if you have any questions. Weekly staff meetings are critical for knowledge management, staff accountability, ongoing training, and collegiality. In addition to weekly staff meetings, a monthly case conference was held for all staff working with students' learning skills on a one-to-one basis. During this conference, staff reported on any problems/challenges and success that they had with their students and solicited input from their colleagues for alternative approaches, activities, materials. The LAC also held a pre-fall semester all day retreat with all staff including student assistants and work-study students to review its annual MBO document and to discuss objectives, and tasks needed to reach the annual goals. A second retreat was held at the end of the spring semester to review progress toward the annual goals and to consider objectives and tasks for the next year. During the summer, the staff held monthly picnics at a nearby park with a brief business meeting prior to the day's fun, food, and games. If a director is tuned in to developing a team spirit, staff meetings are invaluable to improve not only staff morale but also learning support center procedures, programs and services. As discussed in previous articles the SI leader is critical to the success of the SI program. It is essential that the leaders be well trained and grounded in the SI model as well as course competency. Most of the SI leaders at the University of Pittsburgh started as students who attended SI sessions. Therefore, they had a true picture of SI as a group discussion model rather than a tutoring session. However familiar with the model, leaders gained confidence and commitment through training. UMKC recommends that leaders be trained initially and receive continuing education. (See resources at: http://www.umkc.edu/cad/SI.) When the program first began at the University of Pittsburgh, in 1995, the leaders were often trained in other areas such as math tutor or student academic counselor. Additionally, student leaders received continuing education through pre-semester orientations, monthly meetings with all leaders and weekly supervisory sessions dividing the leaders topically (for example SI chemistry leaders). Examples of topics covered in monthly meetings would be discussions of handling disruptive students, cultural diversity, the university’s sexual harassment policy, effective questioning, and learning styles. Between 1997 and 2000 the program grew from 12 sessions per semester to approximately 30 sessions per semester. The supervisors, having less time for observations, felt the need to greatly expand the training program. Already in place on campus was the 3 credit hour, pass / fail, course entitled Seminar in Peer Helping. This course had 2 sections, one to specifically train Math UTA/tutors and one to train Student Academic Counselor. The Learning Skills Center sought approval from the administration to add a 3rd section specifically intended to train SI leaders. As potential leaders were being interviewed for SI positions they were informed of the necessity to take the SI course prior to becoming a leader or concurrently. Exceptions were made for students with prior training in other areas and when the course would really be redundant to a student’s life long learning experiences. For example, one of our SI leaders had a teaching certificate and was returning to school to take pre-medical course work. SI supervisors were fearful that the course requirement might discourage some students from becoming leaders. The opposite proved to be true! Many potential leaders were excited to take the course, felt it would better prepare them and would provide them with a boost in confidence and experience. The SI course provided the opportunity to model SI sessions and were lead rather than taught. There was much use of role-playing and hands-on activities. As opportunities arose speakers from all related areas of campus were brought in to introduce the students to the broad role of student affairs on campus. Speakers included staff from the Counseling Dept., Learning Disabilities, and the Learning Skills Center. These speakers aided leaders in learning how to make referrals to various campus departments. Also included were cooperating professors and current SI leaders. The Leader’s Guide to Supplemental Instruction published by UMKC (http://www.umkc.edu/cad/SI) was used as a basic manual. Materials added to the manual to supplement information included topics such as diversity, boundaries and learning styles. Students role-played various scenarios that might occur in SI sessions. Approximately half way through the course SI trainees were paired with a current SI leader. They began to attend one session a week with that leader, assisting the leader and culminating with leading a session. Students found this hands-on experience the most valuable part of the course. Upon completion of the course the leaders felt a real connection to the SI model, the history of SI, the Learning Skill Center and the Division of Student Affairs. The course provided them with the confidence and knowledge to lead SI sessions and succeed in their paraprofessional role. I am thinking of putting together a speed reading course that would be held at my Learning Center during the Spring semester. It is my belief that speed reading may be the study skill that would attract the most students and therefore increase the use of my Center. With this in mind, I visited the AceReader site to see what is happening currently in the speed reading realm. Trains for faster reading on the computer. AceReader is not a remedial tool; it does not help you learn how to read. Rather it helps you become more proficient at reading both online and offline. As you delve deeper into this website, you come across a Media Player or audio that certainly adds interest to the general lay-out. Accompanied by a lava lamp-type visual, you get a fast-talking man describing the main features of AceReader. You can also get a demo of the two modes of this program - Rapid Serial Visual Presentation (RSVP) and the Tachistoscopic Scroll Presentation (TSP). The RSVP mode displays text or one word at a time in fast succession in the center of the screen. You can control the speed. Their theory behind this type of reading is that your eyes do not have to move because the text is flashed on the screen. Even at the slower speeds you are automatically reading 25% faster than the average reader. The TSP mode works the same as the reading teacher of old's best friend - the tachistoscope. A bunching of words is presented on the screen at varying rates that is controlled by the reader. It is read in the traditional way with left to right eye movements. However, you are trained to do this "regular" reading at increased rates. In both modes you can load in your own texts, reports and email via a clip board. The price seems reasonable and they offer help and easy ordering. Learning Support Center Web Site Excellence Awards. This year marks the second year of annual awards for six outstanding learning support center web sites. The awards are sponsored by LSCHE, the only web portal focused exclusively on learning support centers in higher education. Only US learning support center web sites are eligible for the awards. Please note that writing, tutorial, and math centers-- centers that do not serve all campus students -- are not eligible. Rules for the awards and a copy of the criteria for the awards can be found on the LSCHE web site at http://www.pvc.maricopa.edu/~lsche/resources/lc_awards/awards_wi.htm Awards winners will be announced at the Winter Institute 2002 banquet in Tucson. The three top winning sites will be awarded wall plaques and donated items from publishers and/or software developers. Honorable mentions will receive a certificate and a donated item. In addition, award winning sites may display .the LSCHE award icon on their web site home page. Winter Institute 2002 January 2-5, 2002 - Tucson, Arizona. This three day retreat is designed as an intensive collegial experience for professionals in the field of learning assistance. This year, the Institute focuses on Learning Support Centers in Higher Education: Location, Space Design, Equipment, Furnishings, Décor with presentations by Dr. Bill White (Grambling State University) on space design, Dr. Susan Deese-Roberts (University of New Mexico-Albuquerque), on centers in campus libraries, Sylvia Mioduski (University of Arizona) on the new university college Integrated Learning Center, Nadine Rosenthal (City College of San Francisco) on reflections six years after designing a learning assistance center. Go to LSCHE http://www.pvc.maricopa.edu/~lsche/ and choose “Next WI” for registration information. Order: Contact publisher at (203) 226-3571 or Click here order on-line from Amazon or . demonstrate that the home environment plays an important role in developing individual learning styles. roaming around a room versus those who choose to sit in a straight back chair. the HMPQ (Homework Preference Questionnaire) which is based on The Learning Styles Inventory (LSI) Dunn Dunn and Price, 1989). HMPQ Scores include: Motivation (self-motivated, parent-motivated, teacher-motivated); Persistence; Promptness; Organizational (Structure, Order, Place); Perceptual-physical; and Interpersonal. available find that the relation between homework and achievement is equivocal. Thus homework is a wide open subject for those looking for a dissertation topic that applies to developmental college students as well as other students. Dunn, L. K., Dunn R. & Price, G. (1989). Learning Style Inventory, (LSI). Lawrence, KS: Price Systems. Valuable learning center management strategies & tips. Links to Internet web sites and news groups of interest to learning center staff. Profiles of outstanding leaders in the learning-assistance community. Learning assistance articles on SI, disability, and other subjects. NoteTab Light is a freeware text editor that replaces Windows NotePad. 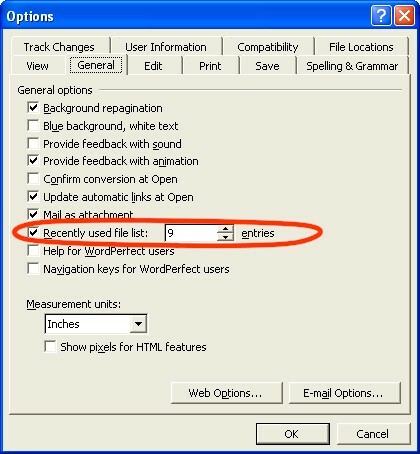 A text editor does not add special formatting characters to the text file like word processing applications do. So why use a plain text file? They are needed for many applications. For example, html pages, pearl scripts, C source code files, and some windows configuration files are all plain text files. OK, so you need a text editor. What about the Windows NotePad? If you used NotePad before you are familiar with its limitations. For example, NotePad can only handle small text files under 64K in size. Also, while you can perform simple searches with NotePad, there is no replace feature. In addition, you can only open a single text file per a NotePad session. NoteTab fixes all these limitations and adds a wealth of other features. You can load and work with files up to 2 GB in size, you can do search and replace, and you can open multiple document at the same time. NoteTab also includes some advanced features. These include a Paste Board file to automatically save text clips. The software can also strip HTML tags from files. Other features include complete document statistics. 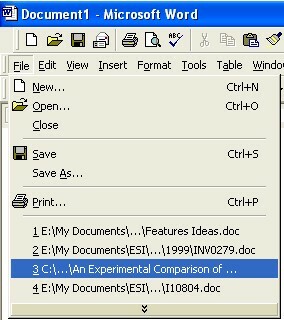 NoteTab also allows you to select the font size, color, and font used when viewing text files. You can download a 30-day evaluation version of the Pro version. Its registration costs $19.95. The Light version is free. Windows includes a handy utility for finding files. You can search for a file using attributes such as date, type, size, or name (if you remember it). So how do you start this utility? In Windows 95 and 98, you can launch it from Explorer by selecting "Tools" then "Find" from the menu. However, in Windows ME the "Find" option has disappeared! So how do you find the "Find" utility? There is a better way that works in ALL Windows version, and does not require that you launch Explorer first. Simply press the Windows logo key (the key next to the Alt key on the keyboard) and keep it down, and press the "F" key. The Windows Find dialogue will appear like magic! The "Recently Used File List" contains shortcuts to the last few documents you opened. The list appers in the "File menu". This is useful for quickly opening recently used files. The problem is by default, Word only keep the last 4 opened files as shown above. For me this is just too few. This tip will help you expand the number of documents appearing in this list. From Word "Tools" menu, click on "Options ...". The options dialogue box will appear. Click on the "General" tab. Look for the check box "Recently used file list ..." and change the number there from the default 4 to anything you like (the maximum is 9). Click on "OK" to save your choice. This will give you some more documents for quick access via the "File" menu. Word parts are the best way to increase your vocabulary. Here are some examples! Arbitrator \ar'-bi-tray-ter\: A cook that leaves Arby's to work at McDonald's. Avoidable \uh-voy'-duh-buhl\: What a bullfighter tries to do. Baloney \buh-lo'-nee\: Where some hemlines fall. Bernadette \burn'-a-det\:The act of torching a mortgage. Burglarize \bur'-gler-ize\:What a crook sees with. Control \kon-trol'\:A short, ugly inmate. Counterfeiters \kown-ter-fit-ers\:Workers who put together kitchen cabinets. Eclipse \i-klips'\:What an English barber does for a living. Heroes \hee'-rhos\:What a guy in a boat does. Left Bank \left' bangk'\:What the robber did when his bag was full of loot. Misty \mis'-tee\:How golfers create divots. Parasites \par'-uh-sites\:What you see from the top of the Eiffel Tower. Pharmacist \farm'-uh-sist\:A helper on the farm. Polarize \po'-lur-ize\:What penguins and white bears see with. Primate \pri'-mat\:Removing your spouse from in front of the TV. Relief \ree-leef'\:What trees do in the spring. Rubberneck \rub'-er-nek\:What you do to relax your wife. Seamstress \seem'-stres\:Describes 200 pounds in a size two. Selfish \sel'-fish\:What the owner of a seafood store does. Subdued \sub-dood'\:A guy, that works on one of those submarines. "I don't think there's anything as wonderful in life as being able to help someone else." "Anyone who stops learning is old, whether at 20 or 80. "In the long run you hit only what you aim at. Therefore, though you should fail immediately, you had better aim at something high." A management tip by Frank Christ on Learning Center mission statement and goals. A student study skills tip by Lucy MacDonald on backpack weight. A study skills web site review by Susan Marcus Palau. Free software that will filter ads and other annoying web content. Creating catchy headlines with MS Word. Adding items to Windows Start menu. To view the September issue, click here. This newsletter is sponsored by AccuTrack and edited by Mon Nasser from Engineerica Systems, Inc. My thanks to this month's contributors: Frank Christ, Susan Marcus Palau, Martha Maxwell, Jeanne Wiatr and Barbara Stout.